Are people counterspelling your boss since they can't target him? Price of Glory traded in for, what, Serra's Embrace maybe? My dinosaur mind also thinks of Allay and Shattering Pulse. Allay is a lot better than Demystify, and I'm sure there's room for Shattering Pulse somewhere; also think about Viashino Heretic. Well, Monk Realist is not a may so he will destroy your own enchantments. 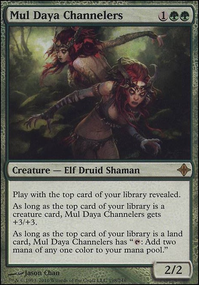 You want to get rid of himAdding more of Femeref Knight would be good, as he is one of the best creatures in the deck. Take out Pearled Unicorn as 2/2s for 3 with no abilities tend to be bad. 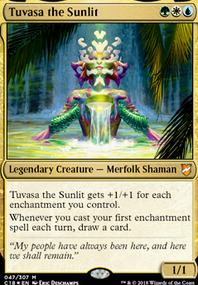 However, Soltari Visionary is better since relatively few creatures have shadow. Furnace Spirit isn't great since you don't have that much red mana to pay for his ability. Remove Endoskeleton, Flowstone Shambler, and take out Giant Strength or add more mountains. 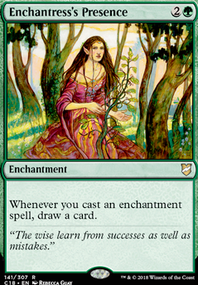 Serra's Embrace is probably one of your best enchantments right now, so more of those is better. 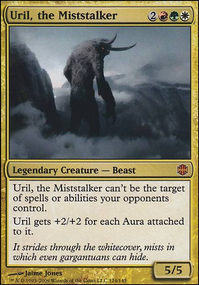 If you're able to get new cards, consider replacing Opal Gargoyle with Mistral Charger, Kor Aeronaut or possibly Akroan Skyguard which works well with the enchantments. 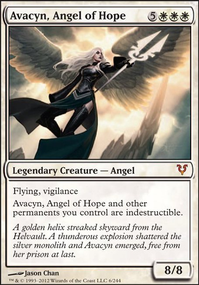 Expedition Envoy or Soldier of the Pantheon would probably be better than Opal Caryatid. Until end of turn, all creatures gain ", : This creature deals 2 damage to target creature or player." Make a Serra's Embrace/Shiv's Embrace for an iconic blue creature. 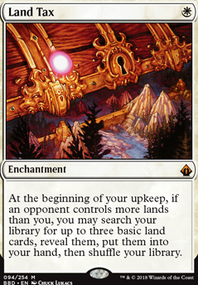 Land Tax looks great for any deck using white, so I'm happy to include this (shame it's so expensive :P). Fog is simple but very effective. I should have really thought of this one given how many times it's messed with my plans when playing against it. Thanks for the tips. I just need to work out what I fancy losing. 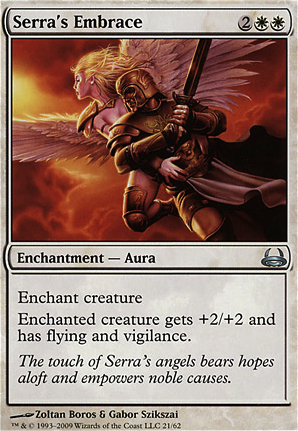 I have also decided to swap out Serra's Embrace for Angelic Destiny. It's very similar but for the same mana cost it's just better.